The growth of the global electro optical market is vastly dependent on the growth of military and defense and aerospace sector. This is because electro optical systems are extensively used by these aforementioned sectors for testing. The electro optical systems are used for non destructive testing in the aerospace sector and the border protection agencies make use of these systems for monitoring intrusion attempts. As terrorist activities are on a rise, there is a constant need for surveillance and the need to prevent intrusion attempts by any suspicious person. This will create a favorable environment for the growth of the global electro optical market during the period from 2017 to 2025, expanding at a healthy CAGR. Along with radar systems, electro optical systems are being used on ships and lands for tracking stealth aircraft effectively. These systems are also helpful for detecting low observable missiles. Naval platforms are making use of electro optical systems in CIWS or close in weapon system for target engagement and acquisition. The structural integrity of a component is checked by laser and infrared electro optical variants. The growing initiatives taken by naval, aerospace, defense and military sectors for up gradation will bode well for the global electro optical market. There is a need for developing safe eye lasers that are harmless and cause no strain and harm to a soldier’s eye and this is expected to create opportunities of growth for the market. In the years to come, it is estimated that the airborne electro optic systems will see a higher demand owing to their use in unmanned aerial vehicles (UAVs). The electro-optical market is gaining significant momentum across the world. Vendors have focused on developing powerful, lightweight, yet cost efficient systems that can improve the competence of critical operations involved in missions. The aerospace, defense, and the homeland security agencies are increasingly deploying electro-optical systems, which is reflecting positively on the growth of this market. The most-used part for electro-optical systems is laser, which is highly competent of emitting radiation from the entire scope of the optical spectrum. It is utilized as a targeting tool for a several projectiles and missiles in military applications. These systems are also deployed into unmanned vehicles to provide a wide range of functions, such as range finding, target acquisition, imaging, and surveillance. 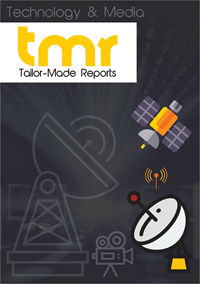 This research report, prepared using various paid and unpaid sources, provides a comprehensive and in-depth assessment of the worldwide electro-optical market. It helps in identifying prominent trends, driving forces, opportunities, restraints, and growth prospects of this market at both, regional as well as global level, which makes it a reliable business tool. It also offers qualitative as well as quantitative insights into the competitive landscape of this market by reviewing the profiles of the main companies on the basis of their market shares, business strategies, product details, revenue structure, and significant development. A SWOT analysis of each of the participants has also been performed in this study to determine their potential growth trajectory. The main driving force behind the rise of the global electro-optical market is the substantial growth in the demand for intelligence, surveillance, and reconnaissance. In addition to this, the increasing technological advancements in this field are also expected drive significant growth in this market over the forthcoming years. On the other hand, budgetary cuts by defense on electro optical systems may limit the growth of this market to some extent in the years to come. However, the rising deployment of electro-optical systems in military, aerospace and homeland security, owing to various advantages of electro-optic technology, will continue to boost this market in the near future. The worldwide electro-optical market is generally studied on the basis of the type of product, application, end users, and the geography. Based on the type of product, the market is classified into infrared and laser. Based on the application, the market is categorized into defense, airborne, naval, and land based systems. By end users, the market is segmented into the defense, aerospace, and the homeland security sectors. Geographically, the market is divided into North America, Asia Pacific, Europe, and the Rest of the World including Latin America, the Middle East, and Africa. Some of the leading players in the global electro-optical market are Sagem, Flir Systems Inc., Ultra-Electronics, BAE Systems, SAAB, DRS Technologies Inc., General Atomics Aeronautical Systems Inc., Thales Group, Raytheon Co., Rheinmetall, Elbit Systems Ltd., Lockheed Martin, and L3-Communications.